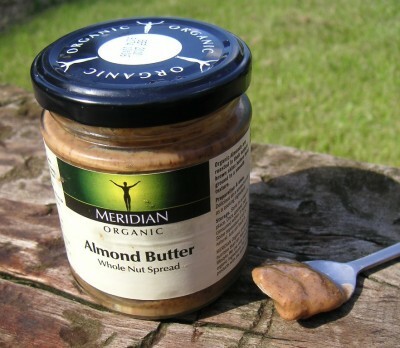 Words can’t describe how tasty Meridian Almond Butter is, it really is heaven on a spoon and I love it! Great in recipes, spread on oat cakes or straight from the pot. It has the texture of a chocolate spread and for me the taste too, next time you are in your local health food store look out for a jar of this fantastic almond butter, seriously that tasty you will wonder why you ever needed sugar. I know you can’t eat cashew nuts, but I love the cashew butter made by the same company. I have to be careful though as I’ve been known to sit with a teaspoon and polish off half a tub at once! Glad it’s not just me sitting with a spoon and a jar of nut butter! I just LOVE this Make of Almond Butter! Yum!